The Expatriate Foundation is pleased to announce approval from the Human Resource Certification Institute (HRCI) to facilitate a course entitled: HRM in a Global Era. 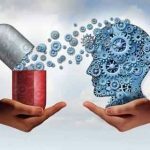 The course has been launched and consists of 1 lesson that you, the student, will review and learn from. A 5 question quiz is posted directly following each lesson. The student must answer 3 out of the 5 questions successfully. 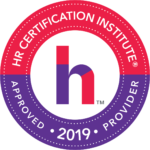 Upon final completion of the lesson, the student will receive a certificate of completion noting the specific activity number assigned by HRCI for recertification purposes. 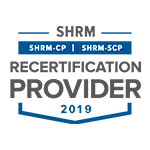 This program has been approved for 2 (Specified – Global) recertification credit hours toward Specified – Global (PHR, SPHR, GPHR) recertification through the Human Resource Certification Institute (HRCI). Upon successful completion, please be sure to note the program ID number on your recertification application form. 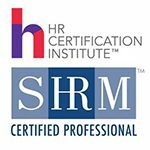 For more information about certification or recertification, please visit the HRCI homepage at www.hrci.org. The use of this seal is not an endorsement by HRCI of the quality of the program. It means that this program has met HRCI’s criteria to be pre-approved for recertification credit.